As far as ways to approach your business' finances, Open Book Management has a lot going for it - the numbers! The transparency! The shared sense of ownership! The accountability! A radical approach to running a business, Open Book Management is about giving every single employee in your business the tools, education and data they need to participate and take responsibility for the success of the business. Getting started with Open Book can be equally exciting and overwhelming. We know because we've been there! Zingerman's has been practicing Open Book since 2002. Whether we're sharing our experience and best practices about Open Book Management in a 2-day seminar, articles, webinars or in action during our weekly huddles, we often hear from our clients that they want to know more about it. It doesn't matter if they're just exploring the possibility, currently practicing it in their business, or consider themselves seasoned Open Book pros! 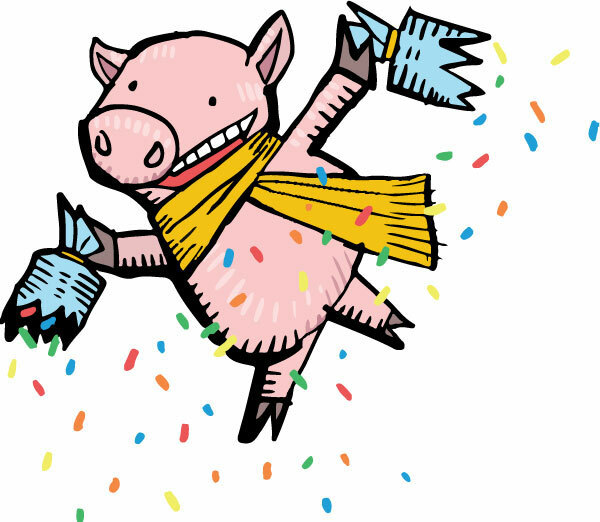 Q: Zingerman's is really jazzed about Open Book... What makes it so great? Open Book is great because it encourages everyone to be involved and engaged in the success of the business. By learning the story behind the numbers on a scoreboard, people can get a real sense of how they can make a tangible difference in the success of the business. And it works for all industries. It was first used in heavy manufacturing, actually - and here we are, a training company, using it! We always tell people that we're big fans of adapting others' ideas - don't be afraid to make it work for you! Q: Does everyone in the organization need to be involved for Open Book to work? No but we always invite everyone to participate and the more the better! For Open Book Management to work, it's important to meet regularly, and we expect that because huddles take place during business hours, not everyone will be able to participate all the time. And that's okay. Q: Speaking of huddles, how often should they happen and what does a really awesome one look like? We have weekly huddles every Wednesday afternoon here at ZingTrain. Regularly meeting to review your organization's scoreboard is key, but find a cadence that works for you. A really awesome huddle is one where people aren't just reporting out on the key metrics, but productive conversation is happening with others in the room...What do the numbers mean? How do they measure up against the goal? How can we work to get them where we want them to be? A great huddle also leaves everyone on the same page feeling energized when it's over, not more frustrated or tired. Q: Oh yes, the infamous "Energy Drainer" meeting... Any tips for how to prevent that from happening? Having everyone agree on and work towards a goal together is a great energy booster - it can prevent the natural overwhelm that people can experience when it suddenly feels like there's so much to get done! We have a client that ends each huddle with everyone voting on that week's 'one thing' - what will everyone collectively work on achieving that week? Q: What are some common misconceptions about Open Book? There are a few! The biggest misconception is that being Open Book is an all or nothing type of thing - that businesses have to share every single piece of information they have, and that's just not true. Focus on sharing the metrics that people in the room have an impact on, like sales and variable expenses, and less on 'fixed' things like rent or salaries. Another misconception is that Open Book is all about transparency, but that's not all it's about. Open Book is about leverage and it is interactive and participative by nature - not a spectator sport! It's not passive and it's not about just being able to read a P&L, but rather, understanding why the financials are the way they are, becoming 'financially literate.' Financial literacy helps employees make better decisions at home as well, on budgeting, getting out of debt, things like that. Q: What is most challenging about being Open Book? How about most rewarding? What can be challenging about Open Book is that especially for people that are new to it, it can feel exclusionary if you don't know the jargon, acronyms, etc. One of the Steps to Great Finance (as explained in our Open Book Management seminar) is that part of the huddle's role is to teach. We need to be sure we're facilitating good discussion about each of the key metrics, what we're doing to hit our targets and how can we help each other get where we want to be. As for most rewarding, I'd say watching people take ownership of key metrics is a really neat thing and can be a great indicator of leadership capacity. To see people that are often quieter or more shy take ownership in a productive way is really energizing to the group. If these folks find a key measure that they really care about, they'll get excited to share the story about why it's important and get others excited, too. There are always a few number-phobes in the group, but often they get excited as time goes on. Q: Any final words of wisdom or advice for folks who are new to Open Book? And don't be afraid to have fun with it! Try giving your huddle or scoreboard a clever name. We have one client who named their scoreboard Desmond after Desmond Tutu because their huddle is every Tuesday at 2pm (or Tue-Two...Tutu!) Another calls their huddle a scrum. Here at ZingTrain we even name our financial spreadsheets - we have Stella and George! If you're still hungry for MORE Open Book (and we wouldn't blame you! ), check out our 2-day Open Book Management seminar, articles we've written and webinars we've hosted on the topic! Or, of course, leave a comment below - we'd love to hear from you! Emily is the Community Builder at ZingTrain. As the person tasked with leading ZingTrain's marketing, she loves that her job allows her to connect with people from near and far, providing them with helpful information around the issues that matter most to them and their businesses. When she's not at work, Emily can be found perusing thrift shops, taking Spin classes, exploring new restaurants with friends or relaxing on Lake Michigan with family. Enjoy the nuggets of wisdom, techniques, tips, and insights we've gathered from sharing the Zingerman's unique approach to business for over 20 years. We've offered training to thousands of people on topics like customer service, leadership, visioning, open-book management, among many others, and we plan to share as much of that insight we've gathered from doing so with you here. ZingTrain is a part of the Zingerman's Community of Businesses. Copyright © 2017 Dancing Sandwich Enterprises. All rights reserved. Five days of all things bacon!